This module has a special LED on board that contains three separate LEDs red, green, and blue as well as a smart control IC that can individually drive each LED. 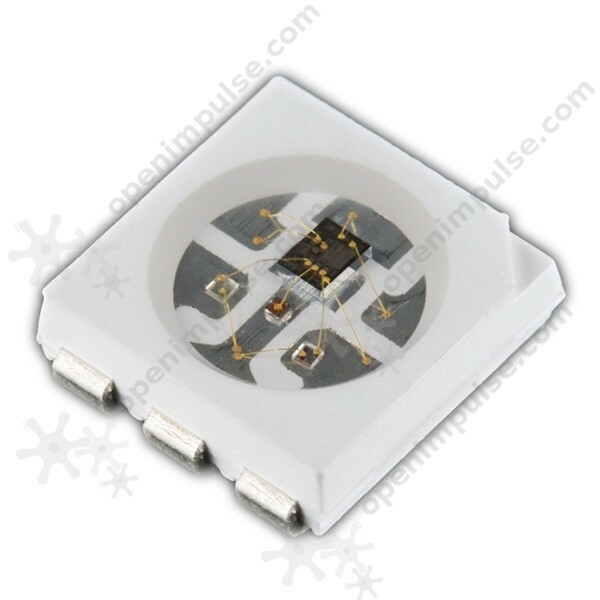 The WS2812B RGB LED module is a small module with BIG color. 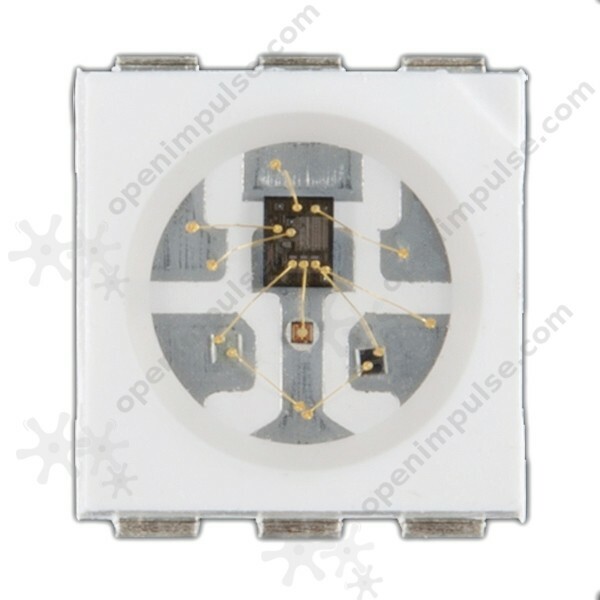 The module has a special LED on board that contains three separate LEDs red, green, and blue as well as a smart control IC that can individually drive each LED. Each color has 256 intensity levels, which allows the module to produce 24-bit color, or more than 16 million colors. Each module is instructed by using a special serial protocol. This protocol allows many modules to be daisy-chained together so that one microcontroller can control the whole lot with a single data signal. Any number of these modules can be chained together by connecting one module’s data-out (DO) pin to another’s data-in (DI) pin.